When it comes to a long-term vision for the Edge District, location is everything. With surrounding districts on the rise and new attention focused on the neighborhood from multiple sectors, the Edge is primed for success. Architect Andy Kitsinger has often wondered why the Edge District wasn't the first "it" neighborhood. Given its position and personality, it's the perfect locale. "The core of the neighborhood, which is two smaller-scale streets, is protected by the major roads, keeping all the traffic on the edge of it. You can feed a lot of access to the neighborhood but keep it more pedestrian oriented," says Kitsinger, a consultant with and principal of The Development Studio LLC. "Its positioning is great. It sits up on high ground on a little bluff or hillside with great views of Downtown." Not to mention its next door neighbors, who are buzzing with activity and investments that soar into the billions. "The Medical Center has seen $1.2 billion in new development and investment," says Leslie Gower of the Downtown Memphis Commission. Gower's neck of the woods eagerly awaits the completion of Bass Pro Shop’s $190 million re-imagined Pyramid, which will be the second-largest Bass Pro Shop in the country; as well as the Main to Main Intermodal Connector, which will carry pedestrians and cyclists from north Downtown through Main St. and across Harahan Bridge to West Memphis; while at the same time the area experiences a steady 93 percent apartment occupancy rate with a constant influx of new residency construction. "The Edge is right in the middle of a lot of activity on all sides of the neighborhood," Kitsinger says. To the north, Victorian Village Inc. recently saw the successful launch of the James Lee House bed and breakfast, a $2-million-plus renovation of a 166-year-old farmhouse-turned-mansion, and is rolling up its sleeves to initiate a series of projects including the construction of an eight-house subdivision of single-family Victorian style homes along Jefferson Ave., redesigning Morris Park, and retooling Jefferson Ave. to include a pedestrian and bicycle parkway connecting Downtown to the Medical Center. "The Edge is just the sort of thing we need to support what we're trying to put together,," says Scott Blake, Executive Director of Victorian Village Inc. Community Development Corporation. A "major road keeping all the traffic on the edge of" the neighborhood is Union Ave. to the south. It is one of the city's major arteries, carrying more than 30,000 drivers and tourists daily to and from Downtown and the eastern sectors of the city. 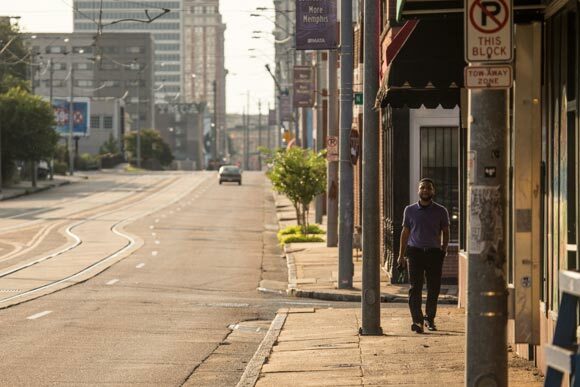 "I think it's the next great place, where the next great neighborhood can be reinvested and really activated," Kitsinger, a former Downtown Memphis Commission planning chief, says of the Edge. A palpable enthusiasm can be detected in every direction of the neighborhood. "It's a great neighborhood that has a good connection to us. We're really excited about (all the activity) such as MEMFix and the Urban Land Institute project and seeing the neighborhood get excited again. We see it as a very positive thing," says Memphis Medical Center Director Beth Flanagan. Some of the $1.5 billion worth of investments in Flanagan's stomping ground include construction on the $450 million UT/Baptist Research Park, the $36 million University of Tennessee Health Science Center Translational Science Research Building and $30 million on renovation and expansion of Regional One Health Regional Medical Center, in addition to the 60 new companies and $53 million in equity investments helped into fruition by the bioscience incubator Memphis Bioworks Foundation. But a neighborhood rich in human capital yet poor in social capital still has needs, and Flanagan, along with her counterparts to the north, west and south, concede that the Edge holds the answers. "We absolutely need more student housing and residential capacity. When you look at UT and the Southern College of Optometry, these are grad students. Very few of them are doing work where they actually live. They're not looking for a freshman apartment. If you look, a large amount of them live on the ring of Downtown, in Harbor Town and South Bluffs [Apartments]. That's your target right there," Flanagan says. In addition to needing places to live, they also need places to go. "We need restaurants and places for people to hang out. That's one of the great assets of the Edge, is its ability to have restaurants and entertainment. 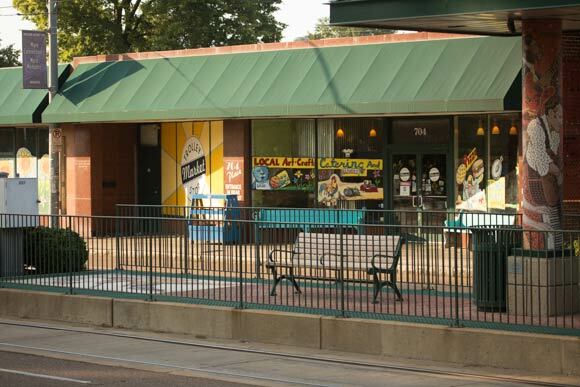 Already the Trolley Stop Market has been a great asset to employees, patients and visitors. And we're happy about the new Subway (fast food restaurant) and the way it was developed--pulling it out to the street so that you're able to sit outside and have lunch," Flanagan says. While cranes and and heavy equipment dominate the skyline to the east, a small network of advocates to the north have set about engaging stakeholders, planners and backers to build upon the history of one of Memphis' first wealthy suburbs. "We're such a unique neighborhood. We have 24 buildings that are national historic register sites, and that's just within our boundaries," Blake, who also runs the museum and home design firm Design 500, says of Victorian Village Inc. Since forming the Victorian Village Inc. CDC eight years ago, Blake and other area stakeholders have designed a master plan, reopened two museums, designed the recently approved new residential infill project called Planters Row II and planned the redesign of Morris Park with promises from area hospitals to maintain the greenspace, and they await the start of pre-construction activity along Jefferson Ave. to eventually create a complete street from Downtown to Cleveland Street in Crosstown. It still takes more than a village, though. "We can't stand alone. We need economic development from a mixed-use neighborhood. That's where the Edge can be such a strong partner for us," Blake says. "Our goal is to be a quiet neighborhood where you can walk up the hill and eat at locally owned restaurants and hear live jazz at places like the Dizzy Bird Lounge." Interest in the Edge neighborhood also stretches as far west as 125 N. Main St. into the offices of Mayor A C Wharton, who, when chosen as a fellow for the Urban Land Institute's Daniel Rose Center for Public Leadership in Land Use, decided to focus on the Medical Center and include the Edge District in creating an innovation district where there's already activity that positions it for prosperity. "We chose the Medical District because of its exorbitant amount of human capital. Roughly 40,000 people visit the district daily," says Gregory Love, Senior Planner for the Memphis and Shelby County Division of Planning and Development. That sort of human capital should remain steady through the years, according to Love. "A major ingredient in most innovation districts for most cities is anchor institutions, which are planted and offer stability in a community. Le Bonheur is not going to pick up and move. The same for Baptist Memorial Hospital or Regional One Health," Love says. The year-long project, which aims to empower public leaders to create and sustain 21st-century cities, was set into motion in January with a meeting of the minds of urban planners from across the nation, who toured the linking districts and came up with some suggestions and assignments. Since then Wharton and his team of fellows have engaged anchor institution leaders, business owners and community members and developed concepts and deliverables for a fully realized urban environment. The Edge District serves as a principal in achieving that fulfillment. "One of the main elements that brings a project like this together is a sense of place. With its history, with its collection of buildings or its built environment, it provides the character for an innovation district," Love says. It also provides the perfect framework for an activity that has become familiar to and necessary for innovation districts--creative collision. "Businesses actively seek areas with collision points, places where people in similar industries but not the same industry have the opportunity to talk and exchange ideas. Those are proven to be instances of innovation," Love says. "Creative collisions create the convergence of intellectual talent, and these opportunities happen in urban areas with multiple modes of transportation, diverse housing options and overall vital urban communities." So just what does this innovation district look like? Re-enter Kitsinger, who has some ideas and is not a miser of them. As a faculty member of the University of Memphis Department of Architecture, each year Kitsinger leads his urban planning class through a revitalization project that highlights a Memphis neighborhood. His spring 2014 class focused on the Edge. "We worked with stakeholders from the Edge and created a long-term vision and came up with some short-term strategies," Kitsinger says. 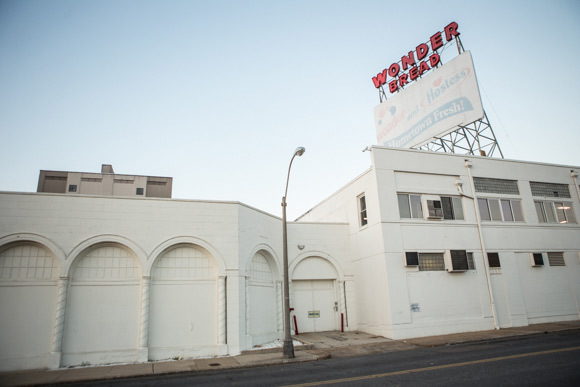 For the plan Kitsinger and his team of students kept in mind the three main personalities of the neighborhood--its automotive history and current industry, its musical attributes and the complexion of a DIY arts district that pervades the area. "These three cultures overlap to create a unique environment," Kitsinger says. Ideas include adding 400 residences of apartments and student housing along Madison Ave., using existing built environments and creating infill on vacant parcels, side by side with neighborhood services such as grocery stores, doctors' offices and banks. Plans suggest building on the existing entertainment along what is considered the neighborhood's core, Marshall and Monroe avenues, adding a hotel/hostel component with varying price points, a vintage car-themed restaurant and a music venue that also houses a recording studio and a record store. Students also proposed creating a new street to feed the neighborhood from Union Ave., as well as filling in the gaps of the western portion of Monroe with banners, signage and street trees. Again the team built on existing character and industry. "The vibe and feel of the neighborhood is really attractive for young people and entrepreneurs. They can really set up shop there in a highly visible neighborhood that's so accessible, it would attract more visitors and therefore more retailers," Kitsinger says. The upcoming MEMFix: Edge event, which is presented by Livable Memphis, the City of Memphis and the Downtown Memphis Commission, intends to use some of these ideas in the form of temporarily activated store fronts, pop-up vendors, performances and street changes with the hopes of seeing what sticks. Gower hopes to pick up where the MEMFix event leaves off. "Hopefully the takeaway will be to make what was temporary more permanent and to build on what has already been done," Gower says. Now that Gower and the DMC team have completed their efforts to prop up the Legendary South Main district with a rebranding and revitalization campaign, they have set their sights on the Edge. Of course their interest coalesces with these other players, in the kind of timing that can only be described as serendipitous. "The Urban Land Institute's project is a happy coincidence," Gower says. In addition to helping present the MEMFix event, the DMC hopes to offer similar assistance to the Edge as it did to South Main, with branding, special events, public art and other projects, but with an eye toward consonance. "We want the same thing Livable Memphis is doing, which is a lot of input from the community and stakeholders already there. Livable Memphis is already engaging these stakeholders, and we don't want to impede their progress by working on the same thing twice," says Gower, DMC Vice-President of Marketing and Communications. "We want to wait and see what the MEMFix event achieves." The same thing goes for the efforts made by the Mayor's innovation district team. "We don't want to duplicate or start over on work that's already been done. We'll look at what comes out of the ULI project's recommendations, then we can stick our resources in place where we can make some of the suggestions a reality for the neighborhood," Gower says. With attention focused on the neighborhood from every angle, and with positive reinforcements from multiple sectors, it appears the district can only go up. "From a planning perspective, the Edge is really interesting. It has great architecture that's already there, so being able to redevelop a lot of property that's underused right now and invest in it without having to tear it down and capture that charm is a really interesting thing to get to do," Gower says. 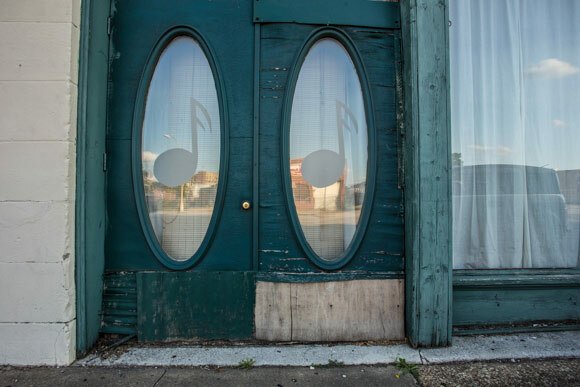 "There are already some great assets to be capitalized on, like Sun Studio and Saint Blues Guitar Workshop, the local restaurants and the Dizzy Bird Lounge, the car industry. It's interesting how it can all tie in and make a cohesive neighborhood that feels like it's all connected in a way." How can all of these ideas and attention become a reality? "It's going to take realizing it is a play we all have to be involved in as players. Instead of acting as individual groups as we all have been doing for so long, we have to focus our energies on the community connecting. Not just the Edge, but all the many pieces and how they all play together," Blake says. Kitsinger sounds one simple warning bell. "Hopefully the price point of real estate will not become too escalated, so that developers and investors can still make stuff happen. What happens a lot of times is that people hear about a neighborhood being invested, and they set unrealistic expectations for what the property is worth, and so they hold out for their ship to come in. If they're planning to hold real estate and hold property, it presents a real challenge for revitalizing neighborhoods," Kitsinger says.